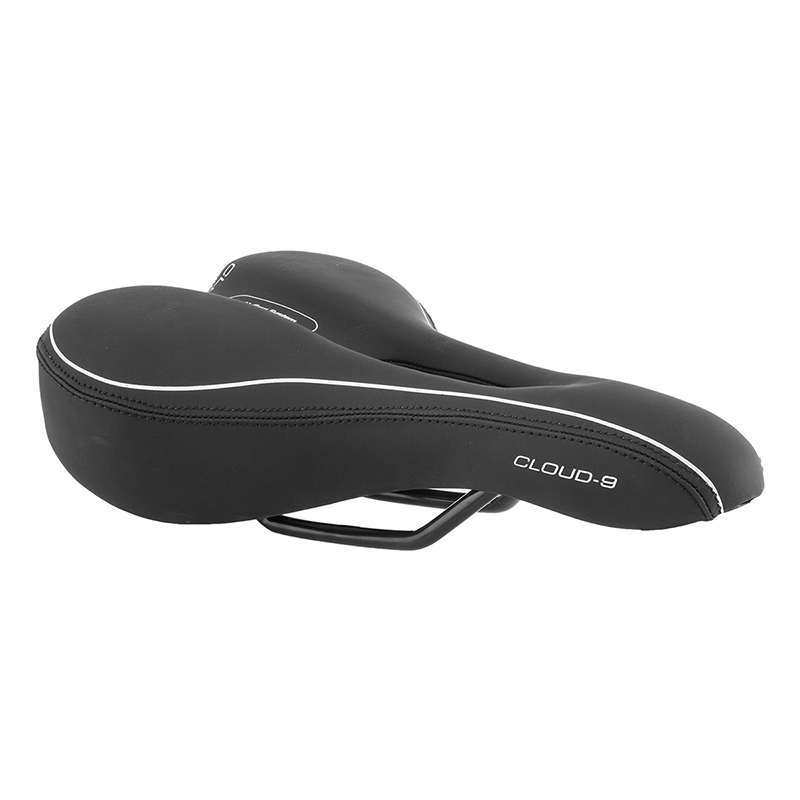 The Cloud 9 Sport Select Men's Bike Seat is specially designed for male riders and scaled for performance. 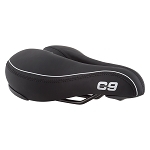 The Cloud 9 Sport Select Men's Bike Seat features an extra layer of select foam padding for additional comfort, as well as an aggressive anatomic relief zone and vent. I wasn''t expecting a whole lot for the price but was impressed by how well made this seat is, by the quality of construction and material. Doesn''t hurt that it is also great looking, lightweight, waterproof, and more importantly, exceptionally comfortable over long distances. Feels like I could ride a hundred miles straight on this seat and not get tired or sore. This is my second Gel seat. It was purchased to replace the original on my Trek FX3 which had a good seat but the padding was a little thin for my liking. This seat is very similar to the Trek but double the padding. You would not know this is a gel seat looking at it. At 215 lbs my rides are 5 to 20+ miles in comfort. The seat is great, very comfortable on 20 plus mile rides. I can enjoy bike rides without have a sore behind! No more "ow my balls" with this seat. The seat is awesome right out of the box. The cut-out has a cool vented plastic insert to keep the cover from peeling up like some other seats do. I am a big fan of these seats. Buy them for christmas gifts! I bought this to replace an old worn out seat on my daily commuter last year and really like this one. The first thing that I noticed is that it was narrower than my previous seat but was not noticeable after the first ride. I am returning now to buy this for a bike that i purchased last weekend. It is some sort of slimline seat the bike shop guy was talking up but it just feels like a rock to me. I''m a skinny dude and need a little extra cushion on & off the trail to be comfortable. I bought this to replace an old worn out seat on my daily commuter last year and really like this one. The first thing that I noticed is that it was narrower than my previous seat but was not noticeable after the first ride. In summary: comfortable seat at a good price that still looks new after a year of commuting to work. Nicely constructed, great fit, my hip pain is gone! I love this seat. I purchased it from my local bike shop on their recommendation. I''ve ridden 2,500 miles on it in the past six months and have had very few issues. 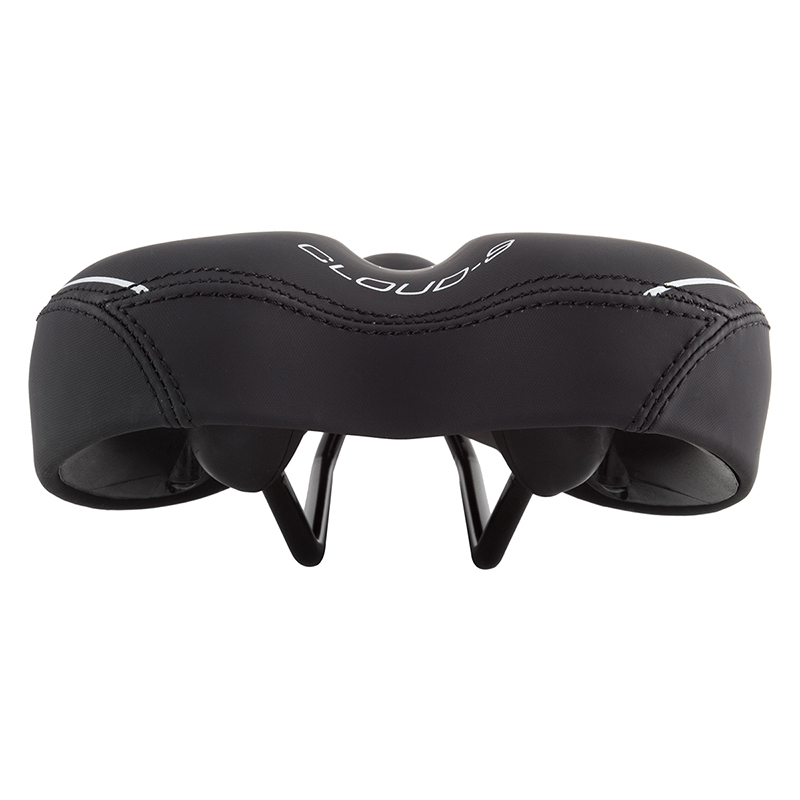 It has padding in the right spots as well as a channel for the sensitive areas. I plan on buying several of these seats for my trainer bikes! If you''re on the fence on buying this seat - go ahead. You won''t regret it. I used this seat on my road bike at the century ride on last Sunday and it is absolutely awesome. I had a more expensive seat on my bike and used to have pain all the time. I highly recommend this seat. Don''t waste your money to purchase the expensive ones. This seat is too soft for a rider of 100 km per day like me. I will have to look for some thing else. Good looking and built well, it just doesn't fit my riding style.